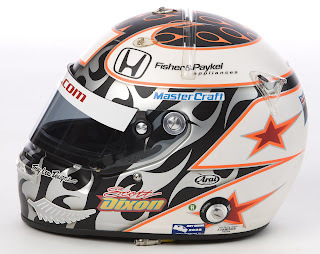 Indy 500 win must make a guy's helmet look so much better. If Moraes was a two time champ & a 500 winner his helmet would be in the lead. its a DESIGN Bracket people... not a driver popularity contest. Agreed. Dixon has silver blobs on the side, indian feathers, orange tuning forks on top, stars blocked by HANS attachments. Gee cutting edge design (NOT). 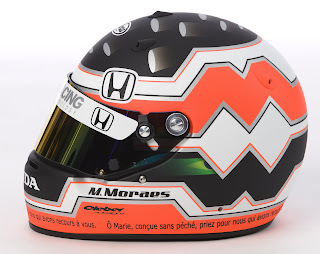 Moraes helmet isn't perfect, but its a better design than Dixon's. I should send my brother's design school friends to this site & drop some artistic votes!